Specialist project management and advisory firm Siecap jointly hosted a supply chain event with e-commerce fulfilment guru Jonathan Reeve on Thursday 23 November 2017 at Crown Towers Melbourne. 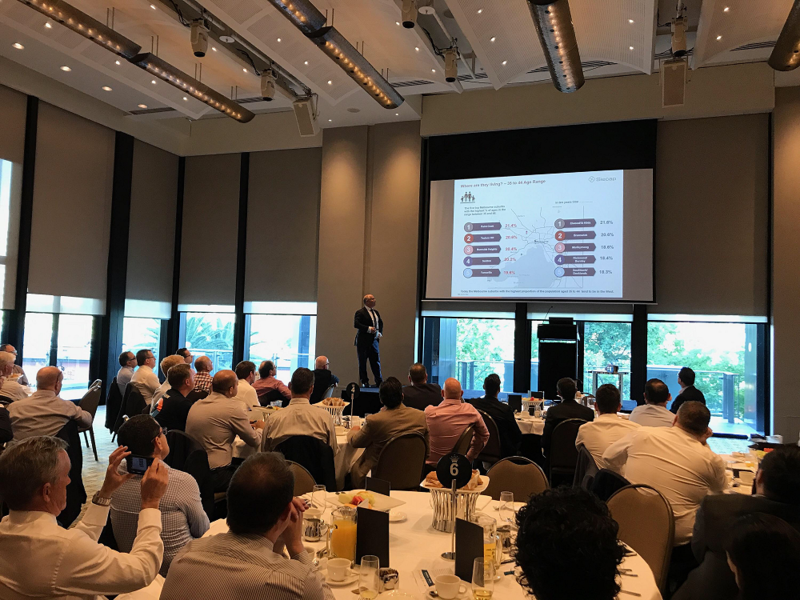 Over fifty supply chain sector senior leaders from companies including Toyota, Miele, Telstra and General Motors attended the breakfast forum to hear about the evolution of eCommerce, surviving in the post-Amazon world and successfully adapting your last-mile supply chain fulfilment solution. Siecap CEO David Irvine opened the event by introducing Siecap and discussing their deep experience in logistics and supply chain advisory. Growth – with a forecast to double over the next five years delivery plans need to be developed that combine fixed and, significant variable elements. Customer – spending time to understand who is the customer, where they reside and what they view as ‘service’ is critical to effective solution design. Technology – looking to the future, as past solutions and ‘best practice’ ways of operating are rapidly being swept through the rapid evolution of supply chain technology. Automation – automation within warehousing is key to sporting the enormous ‘sales events’ and has significant impacts on building design. “The supply chain breakfast provided an excellent opportunity to gain insights into eCommerce future strategies, which was particularly pertinent given that Amazon plans to launch imminently in Australia this week” said Knowles. Siecap would like to thank Jonathan Reeve and our valued clients for attending and contributing to the success of the exclusive session. We look forward to hosting another forum in the near future.